it was my sister's birthday last week and i wanted to make her a card. she likes yellow but the best i could do was gold. that's close right? 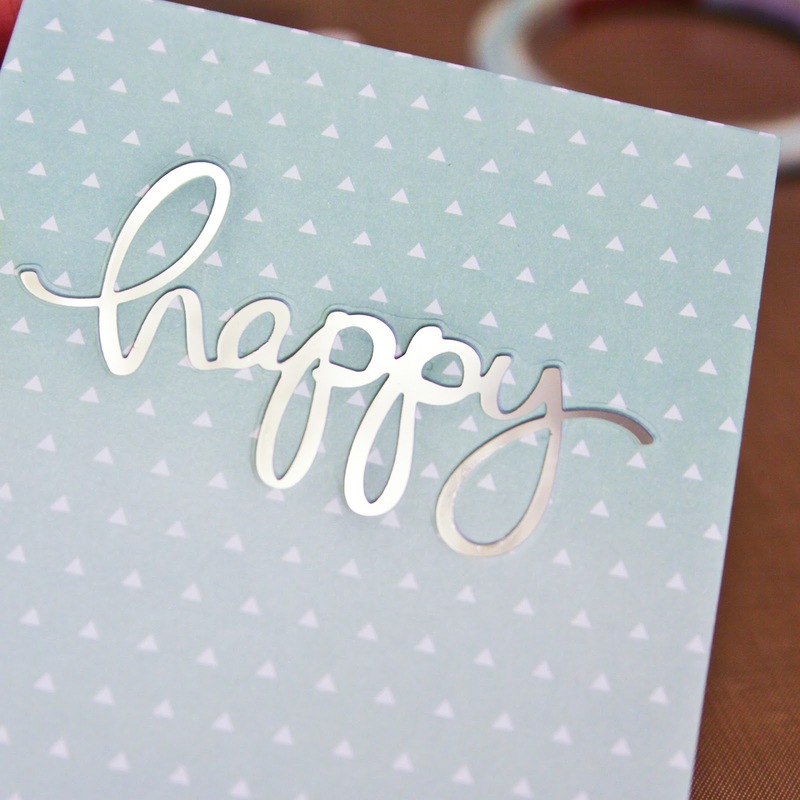 i started by die cutting happy script from my card front and a matching panel patterned paper. 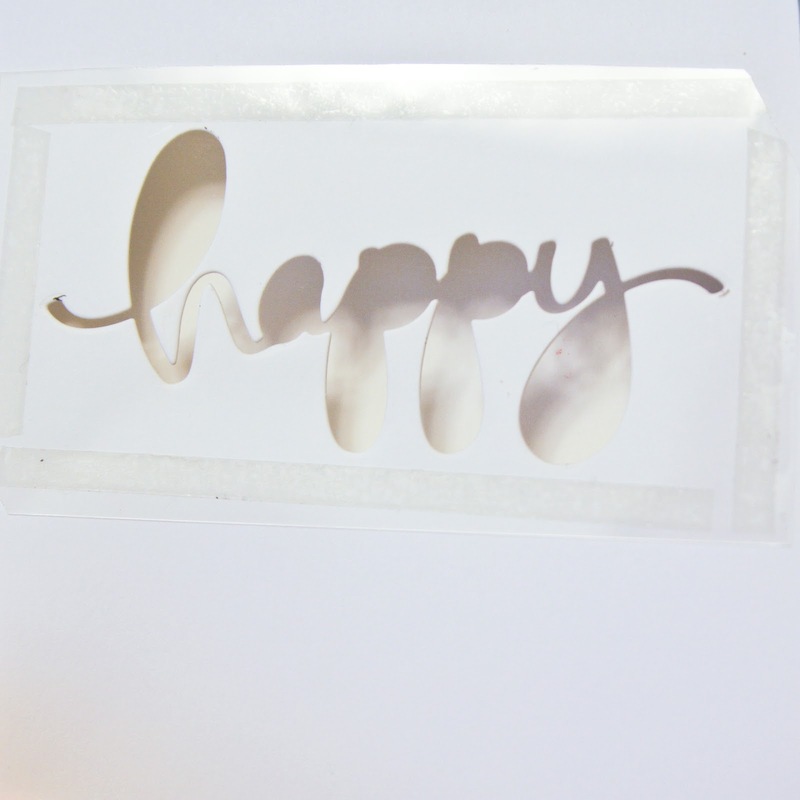 i adhered a piece of acetate on top of my white card, over the cutout. next i adhered my patterned paper over my card, matching up the die cut opening. 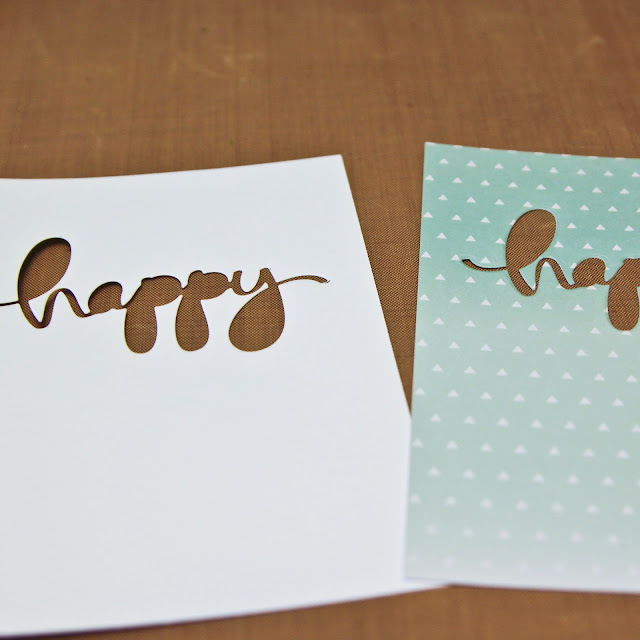 then i added my letter centers back in my adhering them to the acetate. 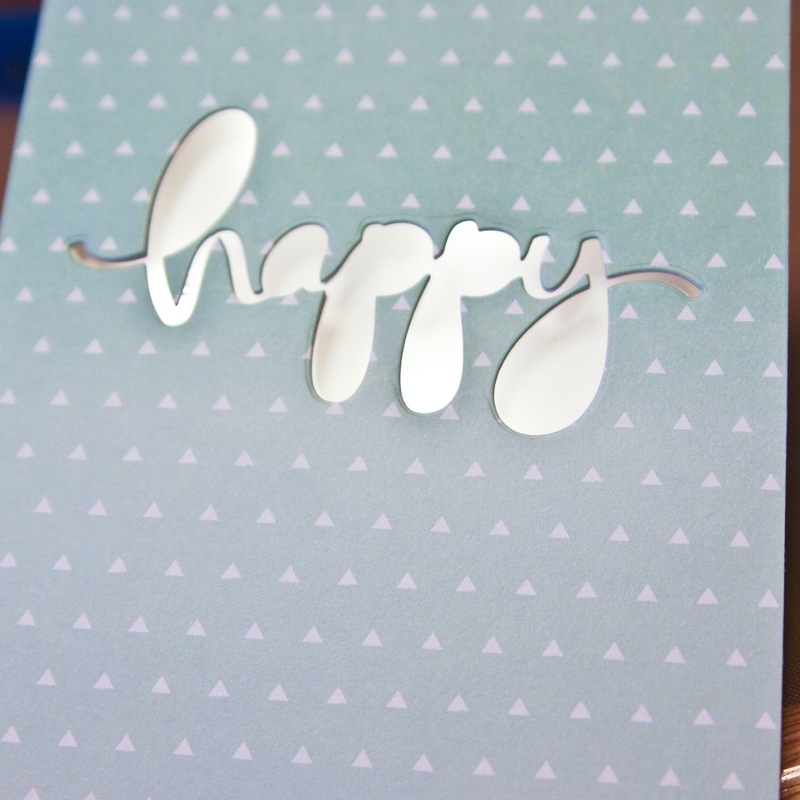 then i cut a 4-1/4 x 5-1/2 piece of double-sided adhesive and placed it inside my card. 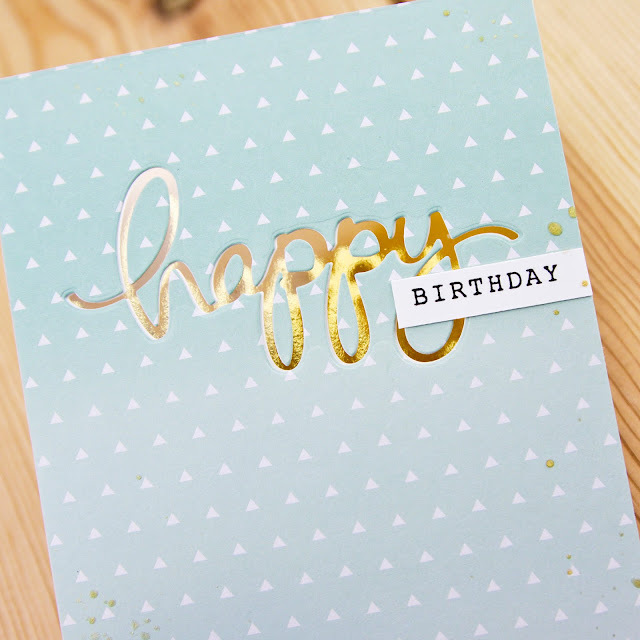 on the adhesive, i placed gold transfer foil and went over it thoroughly with a bone folder, making the inside of my card all foiled and gold. 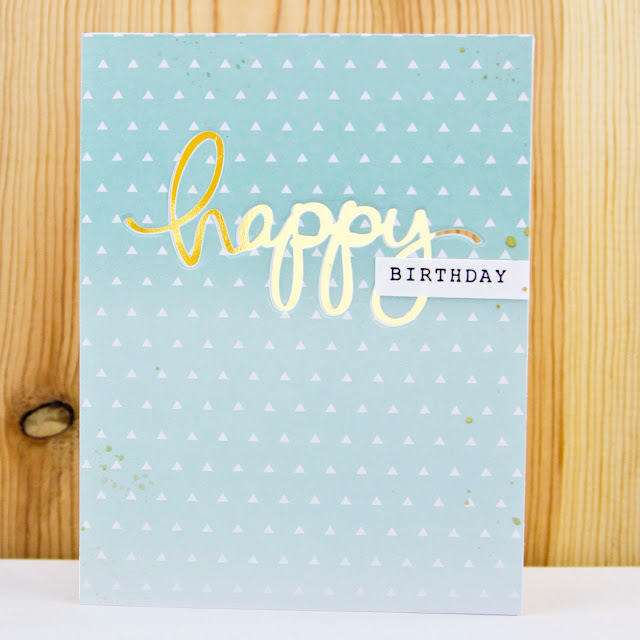 to the front i added a little gold splatter and a little stamped "birthday" strip. 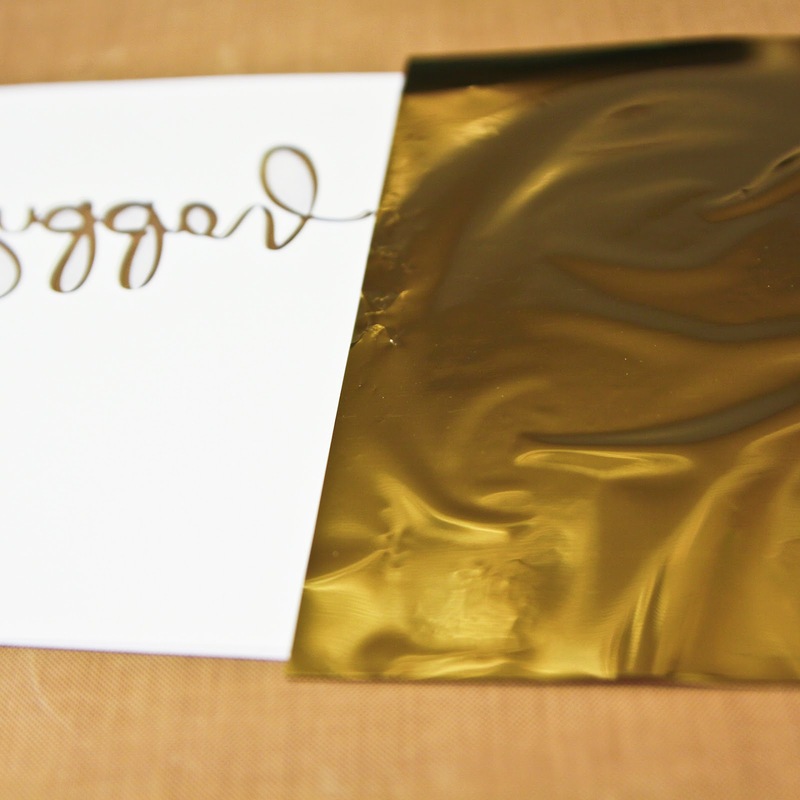 to write on the slick foiled surface inside, i just used a permanent pen. This turned out really cute! Thanks so much for including our Deco Foil! It's the perfect bit of shine!